A common concern for an injured worker in Massachusetts is what happens when he or she is receiving temporary total incapacity benefits, but those benefits are about to expire. For serious work-related injuries, this may become an issue and something that must be considered well before the temporary total disability benefits end. The goal in a workers’ compensation case under these circumstances is for the injured worker to continue to collect disability benefits without any gaps in between. An experienced Massachusetts workers’ compensation attorney will be able to review your accident, injuries and claim and advise on how avoid any periods without collecting disability benefits. Under the Massachusetts Workers’ Compensation Act (M.G.L. c. 152), temporary total incapacity benefits are available to an injured worker who is unable to engage in any work following his or her work-related accident. An injured worker who remains temporarily totally disabled from all work would be eligible to collect temporary total disability benefits. The employee's temporary total disability compensation rate is calculated as 60% of his or her average weekly wage. These workers’ compensation benefits are available for up to 156 weeks (or three years). What Happens When Temporary Total Disability Benefits Expire? As stated above, temporary total disability benefits are available to qualifying injured workers for up to three years. When an injured employee collects all 3 years of temporary total disability benefits, there are a few things that can happen. In one situation, the benefits would end after collecting all three years of temporary total disability benefits. 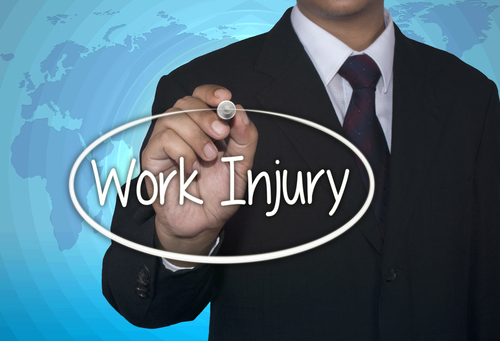 This means the injured worker may not continue to receive any further workers’ compensation disability benefits after that point. An injured worker should be aware of this to prepare for the expiration of the total disability benefits so that they are not left with no money or benefits coming in while they are still disabled and out of work. In another situation, the workers’ compensation insurance company may agree to voluntarily pay the injured worker temporary partial disability benefits pursuant to M.G.L. c. 152 § 35 or permanent and total disability benefits pursuant to §34A. This decision would obviously depend on the extent of the injured worker’s injury and disability. In some cases where an injured worker collects all his or her total disability for the available 156 weeks (or 3 years), the workers’ compensation insurance carrier may refuse to voluntarily pay any other available disability benefits. The injured worker is not out of luck in these situations. If an injured worker remains totally disabled, he or she has the right to seek permanent and total disability benefits provided, however, other factors warrant permanent and total disability benefits. In other circumstance, if the injured worker collects all the total disability benefits, but they are not determined to be totally or permanently disabled, he or she has the right to file a claim to seek partial disability benefits. If you are receiving temporary total disability benefits, you should not wait until the three years comes to an end before acting. In anticipation of the total disability benefits ending, you should consider whether you have any claims for other disability benefits from workers’ compensation (e.g., temporary partial incapacity benefits or permanent and total benefits). If you are unsure whether you may be entitled to any other benefits when your total disability benefits expire, you should consult with a qualified, experienced Massachusetts workers’ compensation attorney. In the event you or your workers’ compensation lawyer determine that a valid claim exists for other benefits, the timing of a claim should be taken into consideration. You must account for the time it takes for a claim to proceed through the process of a Massachusetts workers’ compensation claim. Proper preparation and thoughtful timing considerations may help you avoid a situation where you would not receive any disability benefits while your claim is pending and you’re still out of work. It is extremely hard for many injured workers whose benefit end and they are still out of work. This is why preparing ahead of time is very important. For example, if your three years of temporary total disability benefits runs out and then you file a claim for temporary partial or permanent and total disability benefits, you may not receive any workers’ compensation benefits for the months it may take before your claim for permanent and total disability benefits is heard by an administrative judge at the Massachusetts Department of Industrial Accidents. This would occur if the workers’ compensation insurance company refuses to voluntarily pay further benefits. In contrast, if you file a claim in the months before your total disability benefits are set to expire, you may be able to have your claim for temporary partial or permanent and total disability benefits heard before your total disability benefits end. This way, in the event you obtain a favorable Conference Order from the judge, your temporary partial or permanent and total benefits would be payable right when your temporary total disability benefits end. Thus, there would be no gap between receiving workers’ compensation benefits. This is a summary of what could happen when your temporary total disability is set to expire. However, many other factors must be present or evaluated in order to attempt to avoid gaps in time of receiving workers’ compensation benefits. 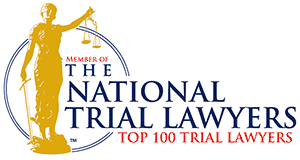 For these reasons, it is highly recommended that you consult with an experienced attorney.